Complement your woonkis dolls with these accessories! There is no mountain range, peak or mountain that resists your mountaineering woonki; In addition, the magnetic feet of the woonkis will make it easier for you to climb on metal surfaces (try on your fridge). 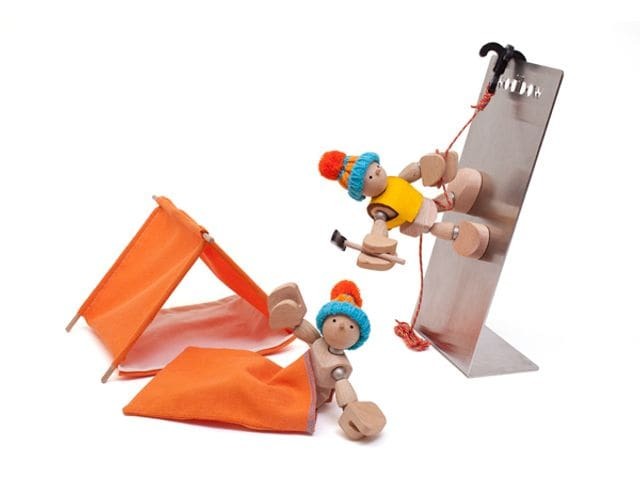 Discover the Woonkis, friendly and funny wooden characters who are eager to play with you.